Figuring out property taxes in the DFW area can be somewhat of a mystery. 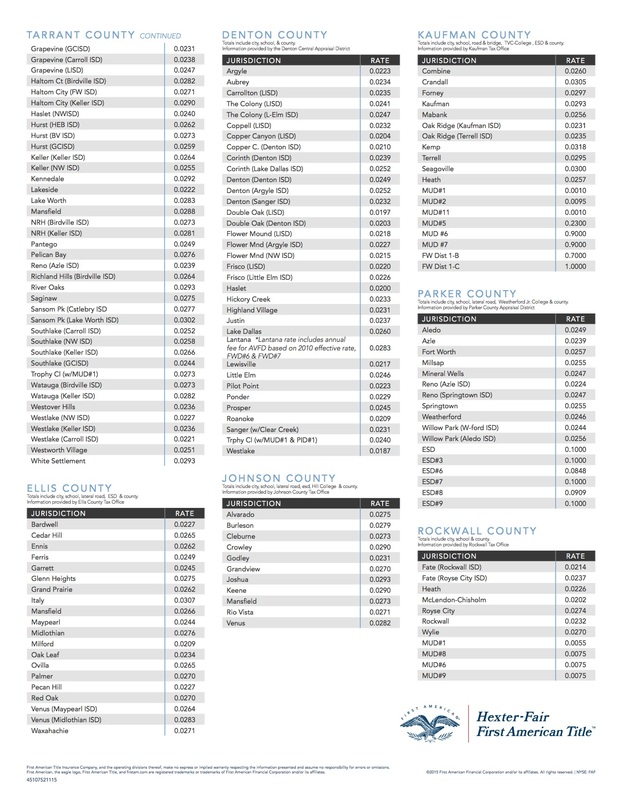 Each locality has a different tax rate depending on what county it lies in, what school system it falls under, and many other factors. 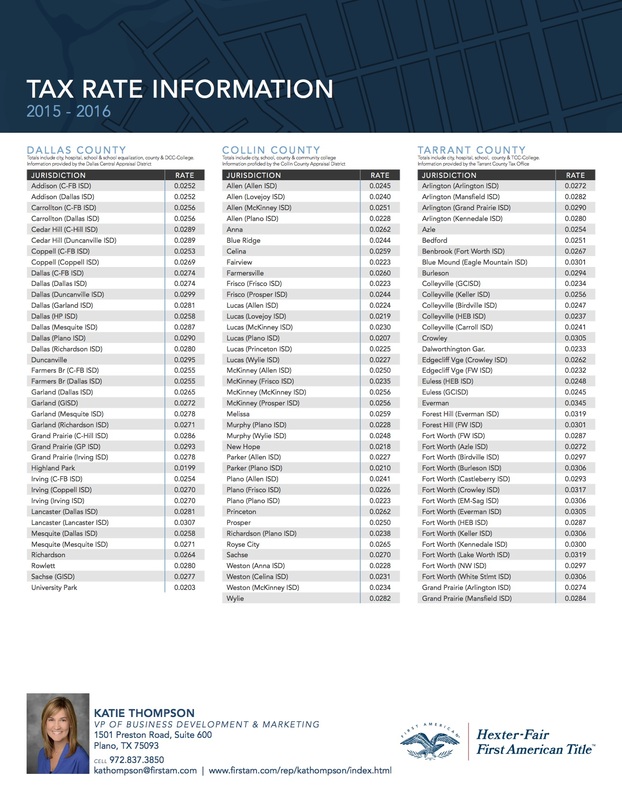 Thanks to our friends at Hexter-Fair First American Title, I have provided the effective tax rates for the entire Metroplex as of 2015-2016 below. Whether you are new to the area, are a first-time homebuyer, or grew up locally and never understood how property taxes work, I am here to help!